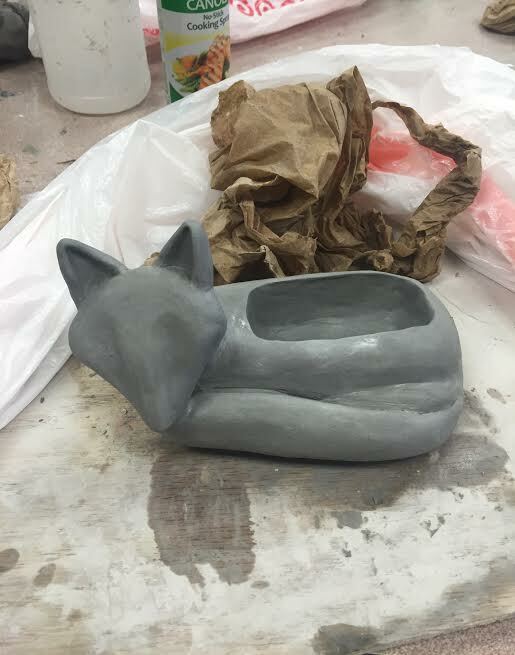 My piece is considered a vessel piece because the back of the fox is open and can hold a number of things. I plan to put a succulent in it's back when I am finished making it. 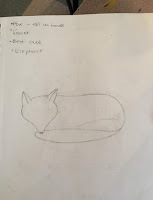 So far my piece has been really successful. The shape of the body and head turned out better than I expected. The only problem is there's a crack between the leg and the tail but it can most likely be fixed with glaze. I was inspired to make a fox that could hold a plant because foxes are my favorite animal and I love plants.